Visit Fantastic Juice at the Winter Fancy Foods Show January 11-13, 2015 at the Moscone Center in San Francisco, California. 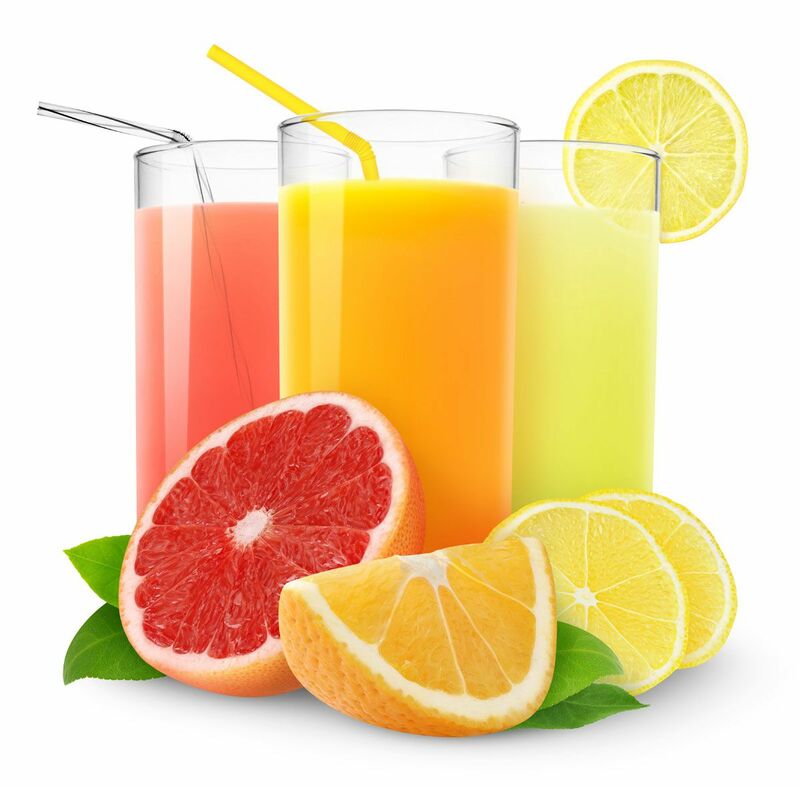 Stop by our booth #2947 for exclusive Fancy Foods Show special offers on CitroCasa Juicers and sample our fantastic fresh squeezed juice and specialty fruit juice blends. We are looking forward to sharing more great ideas and concepts with you. The Winter Fancy Food Show is the West Coast’s largest specialty food and beverage event. Discover 80,000 specialty foods and beverages from 1,300 exhibitors spanning 35+ countries. Network with 18,000+ of your peers and build new relationships. Learn from industry experts with 15+ educational seminars, tastings and tours. Sonoma Market – Welcome to the Club! 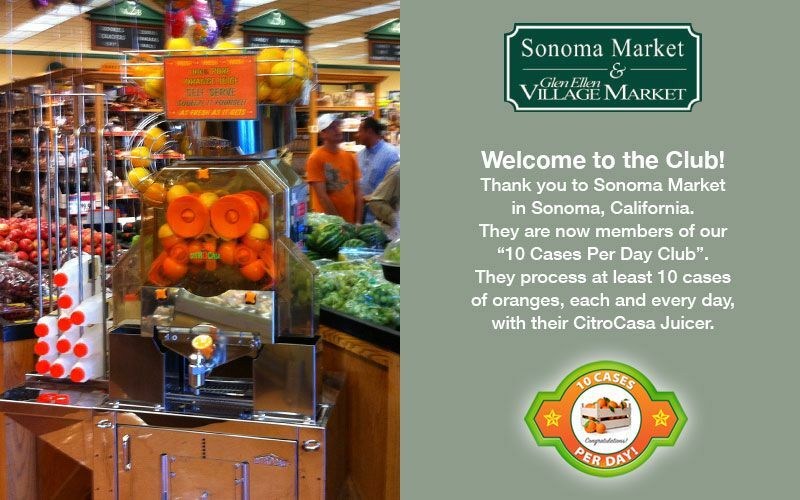 Thank you to Sonoma Market in Sonoma, California, they are the newest member of our “10 Cases Per Day Club”. Sonoma Market process at least 10 cases of oranges, each and every day, with their CitroCasa Juicer. Monterey Market – Welcome to the Club! 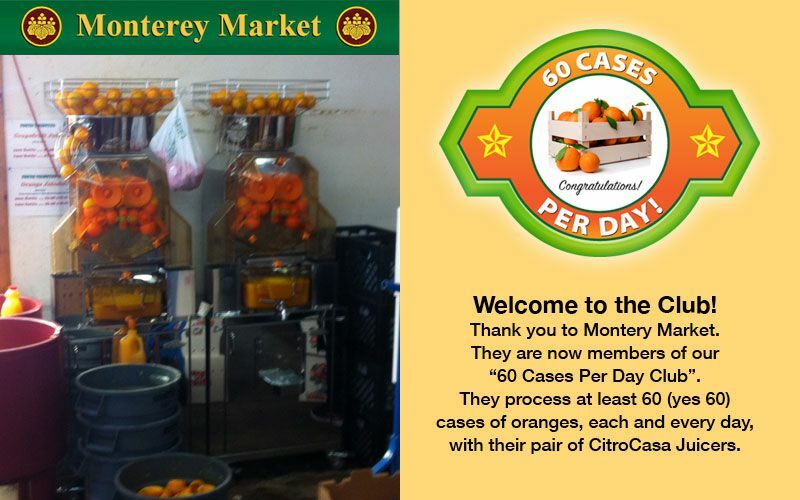 Thank you to Monterey Market in Berkley, California, they are the newest member of our “60 Cases Per Day Club”. Monterey Market process at least 60 cases (Yes 60 cases) of oranges, each and every day, with their pair of CitroCasa Juicers. 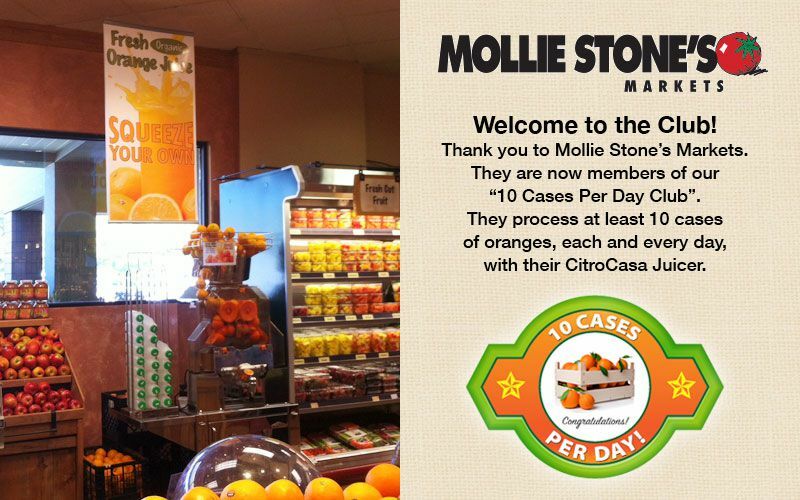 Oakmont Produce Market – Welcome to the Club! 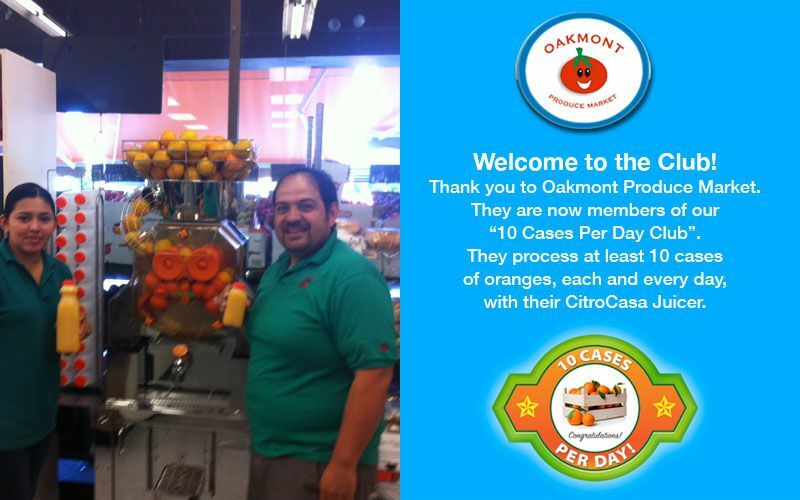 Thank you to Oakmont Produce Market in Cambell, California, they are the newest member of our “10 Cases Per Day Club”. Oakmont Produce Market process at least 10 cases of oranges, each and every day, with their CitroCasa Juicer. Champagne’s Market – Welcome to the Club! 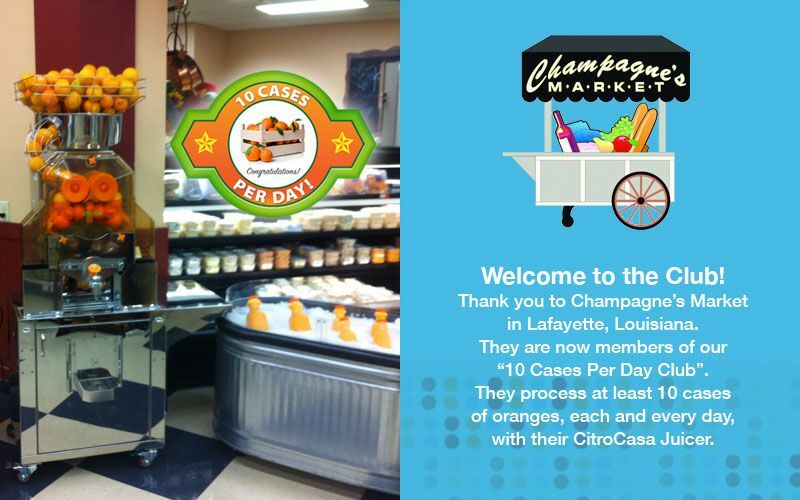 Thank you to Champagne’s Market in Lafayette, Louisiana, they are the newest member of our “10 Cases Per Day Club”. Champagne’s Market process at least 10 cases of oranges, each and every day, with their CitroCasa Juicer.